Due to things out of my control I wasn’t able to finish the post for yesterday, however I will post it tomorrow so look out for it! Hello! Welcome to another Geek Friday! I felt that last week I really didn’t get a chance to describe my new love for One Punch Man last week, so I’m going to take the time to do it now. One Punch Man is so funny! I love it! One of the things I love about it is how certain things happen though it’s very normal in their world. Such as the monsters coming to their city that has happened so often that they have an alarm, an evacuation system, and heroes that fight these monsters too. The monsters are pretty funny as they’re not mindless. They have a plan to take over the city then they meet Saitama, who they don’t think will be able to defeat them when he does. That’s one of the things I enjoy about One Punch Man. Saitama doesn’t look like the average shounen hero. Normally they’re designed like Goku, Luffy, or Natsu, but there’s Saitama who always looks so calm. I love how he doesn’t look like he could defeat a monster. Genos, the cyborg that lives with him, looks more like the shounen hero with the hair and determined eyes. Saitama gets that look when he’s serious, but most of the time he looks so calm. It is easy to forget that he can destroy someone with one punch. That’s one of the problems Saitama has. He destroys any enemy with one punch, though that’s the problem. There’s no one he can really fight because he destroys them so easily. That’s a very unique problem for a hero to have. Many times the problem a hero has is an enemy that can’t be defeated, not that a hero defeats his enemies too easily. Despite that problem, Saitama continues to be a hero for the city. I do like Saitama’s motivation for becoming a hero. He wasn’t having any luck finding a job (so relatable am I right?) when he walks upon a monster who’s close to hurting a child. While he’s not able to defeat the monster very easily when he does it he vows to get stronger. It’s something that he does, but he ends up losing his hair as a result. He may have lost his hair, but he is strong enough now to become the hero that he wants to be. Saitama is a very easy guy to relate to. He’s a regular guy that didn’t make it as a salaryman, but he finds his calling in becoming a hero. I like how he didn’t know what to do, yet he found his calling when he thought he wouldn’t be able to succeed in the working world. It’s nice to have a main character that can be very relatable to many of the readers who may be in the same situation of trying to figure out what works for them. While Saitama isn’t the average shounen hero, Genos is quite different as a character too. Genos is a cyborg that had quite a tragic story about losing his happy family at 15, then becoming a cyborg in an effort to protect the world too. He’s quite powerful, but he’s not arrogant. He’s actually quite humble and the way he wants to learn from Saitama is so sweet. He wants to improve himself so he can help protect the world too. I really love Genos too. He moves in, takes care of Saitama’s place, and genuinely asks for tips on how to be better. I enjoy the way Genos want to improve himself despite being a cyborg. Genos has quickly become my favorite character along with Saitama. There are catchy songs for the opening and ending. There are different places in their setting that I can’t wait to learn more about. The Hero Organization is also very interesting along with the characters such as Sonic, Blizzard, and Typhoon to name a few. The storyline is also pretty nice to follow. It reminds me of slice of life, but with a superhero and his cyborg sidekick. I really do recommend this series. It’s a good one! I want to be a hero! 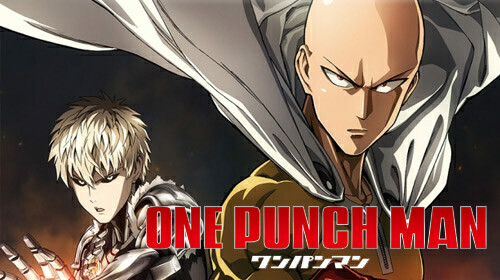 My newest favorite show One Punch Man! Hello! Welcome to another geek Friday where I talk about my newest favorite show One Punch Man! I knew about this show and heard about it, though I was always in the middle of reading something different that I never got a chance to catch up. When I heard that One Punch Man was getting an anime I looked forward to seeing it and it was the best choice I made. I love One Punch Man so much! It’s so funny, the action is great to watch, and the characters are the best! The story is about Saitama, a man who has become a hero to protect others, though he has one problem he destroys all his enemies in one punch. It’s pretty funny the way Saitama can destroy everything with one punch, though I feel kind of bad for him because of it. Despite that Saitama still receives challenges that he beats easily and save the city. Then there’s Genos, a cyborg that comes to him and asks about being his student that at first Saitama reluctantly agrees to then later on goes to see Genos as a trusted companion. I have to say that I love Saitama and the easy going way he is, but I really fell in love with Genos. I do love cyborgs and Genos is the sweetest cyborg! The way he’s so serious that plays off of Saitama’s easy going attitude. The way that he wants to improve and get stronger, and the way he always want to help Saitama is one of the greatest things I enjoy about Genos. Then there are the ways he wanted to challenge Saitama without knowing that if Saitama wanted to he could defeat him, but he didn’t. It was a very sweet thing to see. I’ve only started this show, but I’m already looking forward to it. I high recommend watching it! Hello! Welcome to Geek Friday! Today I’m going to talk about a cute little show that has stolen my heart around this time every Halloween. It’s called Over the Garden Wall and it’s the cutest show. When I first started it, I never thought I would be so into it, towards the end I fell so in love with this cute little show. It’s a five night mini-series with each segment between 11-15 minutes before they go to the next one. Each segment has two episodes or chapters with each episode moving the story along. It has a nice old timey feel with the music, story, and costumes though it keeps your attention the whole time. There are so many great things about Over the Garden Wall, but I’ll narrow them down to three. 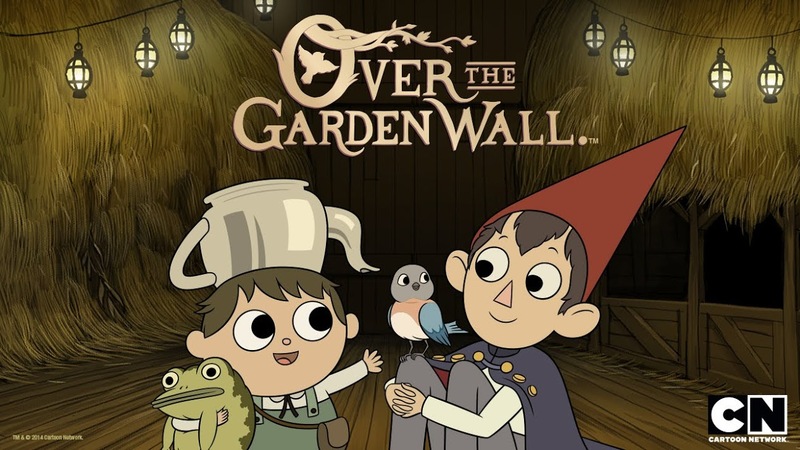 At first I thought it was a story where Wirt and Greg ended up in a fantasy world where they would go and solve the mystery along with destroying the enemy called The Beast. I didn’t expect the little mini story lines in the area either. The plot with Beatrice the girl who was cursed into a Bluebird after insulting one, the Woodsman looking for his daughter’s soul, the mystery over Adelaide the figure that could send them back home, and all the little stories that talk about the people that live in that world. The way they all tie in together one way or another works out so well I can watch it over and over again. There are so many wonderful characters in Over the Garden Wall, though my favorites are the couple of tea competitors that fell in love with each other though they didn’t know it. Then there’s Lorna and Auntie Whispers and I really fell in love with Greg. Greg cared so much for his brother Wirt even when Wirt didn’t want anything to do with him at first, I’m glad he changed during the story. It was really nice to see Greg keep his optimism even when things looked grey and I thought he wasn’t going to make it, he still had a smile on his face. Greg is one of my top favorite characters of the series along with Wirt. Greg though is amazing and he’s a very sweet boy that cares about his brother. I love Greg so much. It’s really the characters that adds to his wonderful story. Each character brings something new to the story and expand this wonderful world. I really love looking at this art style. There’s something so calming about it, if that’s the best way to describe it. The colors and style reminds me of one of those old storybooks that told children about adventures along the river with the animals that are there. The soft colors matched the feel of autumn where things settle down before winter comes along. It matched the emotions of the scene very well. When things were happier the colors were brighter when things became somber the colors darkened. It gave more a realistic feel to it as if I could close my eyes, listen to the music, and imagine the place. It was very nice. I am so glad that they bought on Over the Garden Wall the week before Halloween. It gives a very nice spooky feel for Halloween which makes a nice lead in to November. I really recommend this show! Hello! Welcome to another Geek Friday! Today I’m going to talk about a manga that I’ve fallen in love with this week and that’s Haikyuu!! This manga is about a volleyball team at Karasuno High School and the lives of the players, students, and different schools. I’ll be honest I didn’t expect to get so invested in a manga about volleyball players, but I have! I love so many things about it! Don’t get me wrong I love my slice of life manga, though I normally go towards romance when it comes to slice of life. I’ve watched Free, which I’ll talk about next time, and I started Kuroko no Basuke (Kuroko’s Basket), but there’s something about Haikyuu that gets me so pumped! While I love many things from the show I’ll narrow it down to three things that stand out to me every time I read it. One of my favorite things about Haikyuu are the different types of schools and the way the students have characteristics with it. Such as Karasu in Karasuno means crow and the students from that school have some similarities to crows along with the way Hinata, one of the main characters, can jump so high it looks like he’s flying. The same happens with Nekoma that has the word Neko in it which means cat. The students of that school has cat eyes and Kuroo, their captain, lands on his feet. Each school is unique with their different students, coaches, and reasons why they all want to win that I love it so much! Another thing I love about the story is the characters! Every character has their own strengths, weaknesses, reasons behind their motivation for joining the team, and many more. The story starts out with Hinata Shouyo, a short guy that’s motivated by a player called the small giant, which pushes him to join Karasuno’s high school volleyball team. He’s such a ball of sunshine and doesn’t hide how much he loves volleyball or being part of a team. However, that doesn’t mean Hinata doesn’t have things he worried about or doubts. The same with Kageyama Tobio who’s learning to play with a team after he pushed his team away in junior high. Then my favorite Koushi Sugawara who’s a third year that’s going through his own problems with having Kageyama come in that shares his position with Kageyama as setter. Currently I’m at the part where they run into Nekoma high school and it’s been a pretty exciting read. I’m really interested in seeing how everything turns out too since Suga and Daichi, the captain, are going to be graduating soon. The characters really carry the story and make it interesting. I’m learning to try and do this with my characters. I hope I can lead my stories the same way too. I know it’s a story about volleyball and the trials of high school, but it’s really entertaining to me. Everyone has something invested in their team, school, and dreams. I love the way that they encourage each other on their teams. Each character has something that makes it easy to relate to. While I love my epic battles in space or mages coming together for a common goal, there’s something about slice of life that makes me happy. It’s something that I can relate to and it makes me cheer for the characters even more. I know on the outside it’s a story about a volleyball team then when you read it there’s more to it than that. No there’s no epic space battles, but you don’t want your favorite team to win or that one character to get what they need and for that one character to feel better. The story is good and will keep you entertained too. I love it and I never expected to fall so deep in love with it, though I don’t mind. I always saw it around there were different pictures of the characters too that I wanted to know what it was about. I’m glad I did! 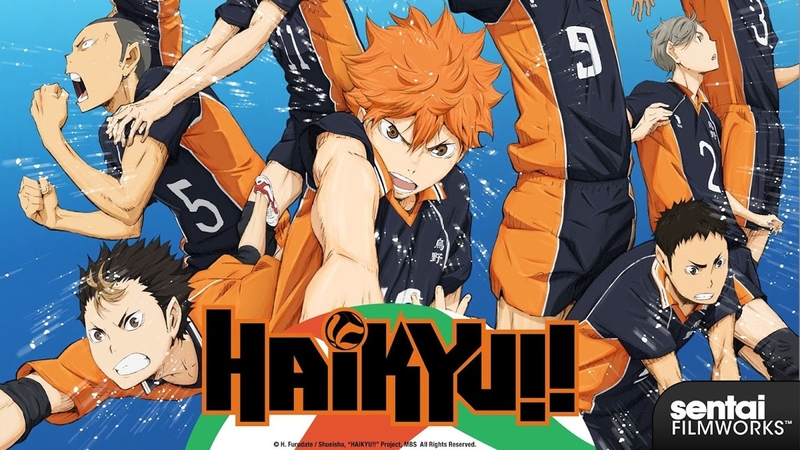 If you like sports manga, slice of life, and wonderful characters check out Haikyuu! !